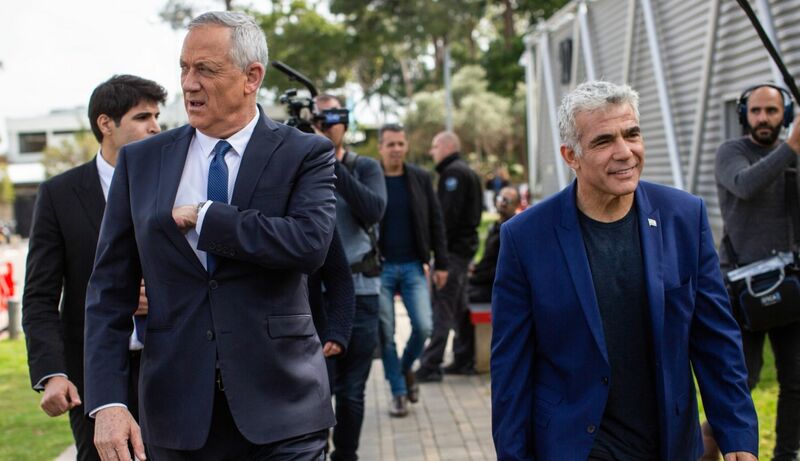 Israel is set to vote next Tuesday, April 9, after an intense and often hard-hitting election campaign in which incumbent PM Binyamin Netanyahu of the Likud (left) is being challenged by the new Blue and White party, led by Benny Gantz (right). It also contains a piece on an issue which has been important in the electoral campaign, and will require the attention of the next Israeli government, whoever leads it, namely the Gaza standoff. We lead with veteran Israeli journalist Shmuel Rosner giving his rundown of the possible post-election scenarios. He says the first question to ask after Tuesday is if the election outcome leaves Netanyahu the ability to assemble a 61-seat majority from the Likud and other right-leaning parties. If so, Rosner says, the new governing coalition will almost certainly be similar to the outgoing current right-leaning government. Then he looks at other scenarios and how they could play out, including the ways in which a coalition led by main rival Benny Gantz of the Blue and White party can form government. For this important guide to what might happen next week and what the various outcomes mean, CLICK HERE. For those reasonably familiar with the Israeli political scene, Rosner also recently penned a flow-chart type guide for who to vote for in this Israeli election – based on who you are and what you want – which is both funny and insightful. 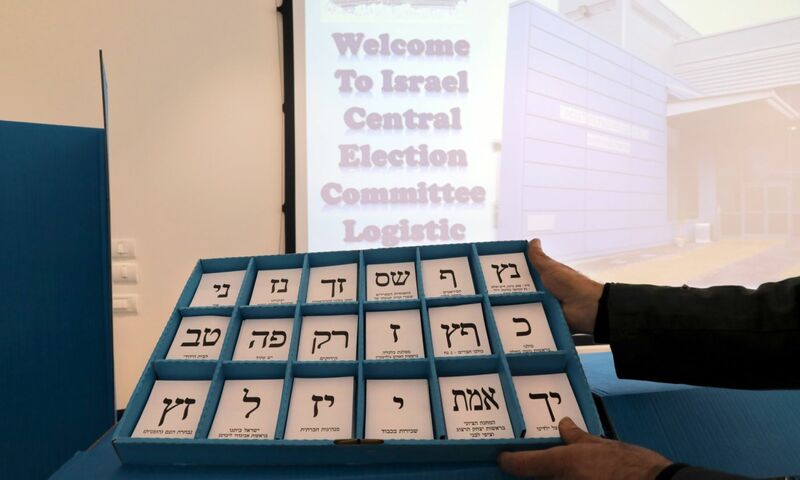 Next up is a look at the major wild card which will decide which of Rosner’s scenarios eventuates, the still large bloc of undecided Israeli voters – up to 10% of voters according to some polls. Allison Kaplan Sommers of Haaretz speaks to a variety of such voters as to what they are weighing up – including a usual Likud voter fed up with Netanyahu, a West Bank resident turned off from some parties by their alliance with extremists, and a man who likes the new Gesher party led by educator Orly Levi-Abekasis, but is worried it may not make the electoral threshold and his vote will be wasted. Sommers also speaks to a number of Israeli political scientists about the reasons for the growing percentage of undecided voters in Israel and the possible implications. For this useful look into what many Israeli voters are thinking, CLICK HERE. 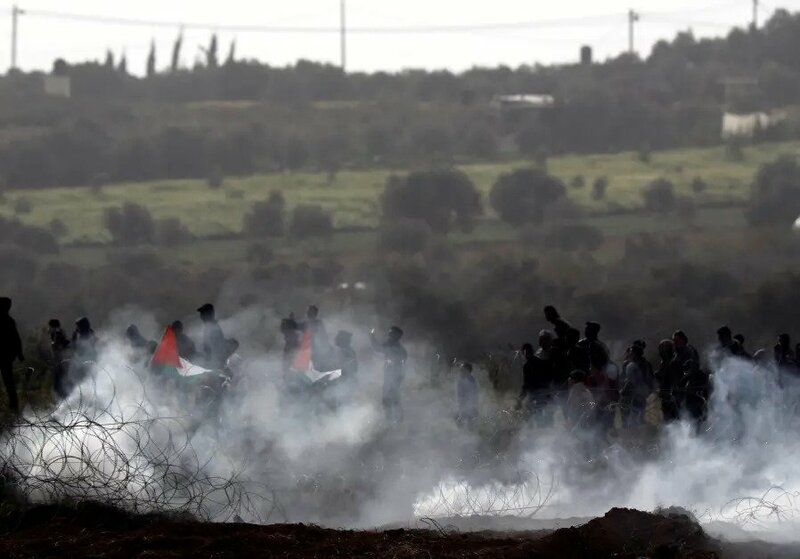 Finally, the big picture on why Gaza has been an ongoing problem, and has erupted as a major issue in the Israeli election, is explained by Seth Frantzman of the Jerusalem Post. Frantzman notes that the year-old protest campaign in Gaza, led by Hamas, has achieved Hamas’ main goal, keeping the pressure on and making Hamas relevant, but that Israel also achieved its main goal, preventing border crossings and armed violence inside Israel. 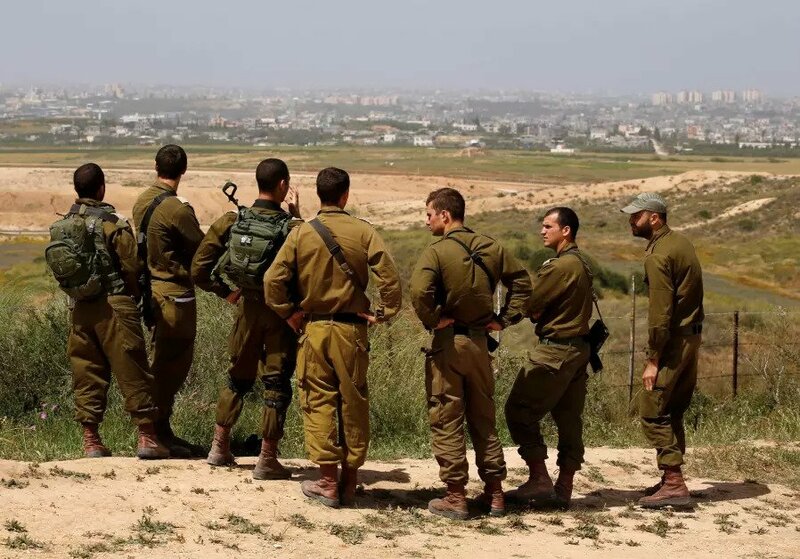 He notes that this standoff is the result of Israeli technological solutions thwarting Hamas’ other violent plans, but the current problematic situation is likely to continue as long as each side is achieving its main goals, with no better alternatives obvious. For this top-notch analysis, including eyewitness accounts of the latest border clashes, CLICK HERE. The return of the body of soldier Zachary Baumel, missing since being killed in Lebanon in 1982, has been very big news in Israel this week. Here are two stories about how the return of his body reportedly came about. A new clip showing Hamas leader Yayha Sinwar admitting participants in the “March of Return” were militants who had taken off their uniforms. Gaza fisherman enjoy the loosening of territorial restrictions on fishing, after Israel agreed to lift some restrictions on Gaza last week. A Middle East Media Research Institute video compilation of some of the crazier things being said about Israeli political leaders in the Arab media. Ben Fishman of the Washington Institute for Near East Policy on the departure of Algerian President Abdelaziz Bouteflika after public protests this week. Judy Maynard on why the justified backlash over Brunei’s anti-gay laws should also be extended to Iran. Oved Lobel summarises the latest evidence on Iran’s cybercrime sponsorship. Visiting American foreign policy expert and AIJAC guest Michael Doran spoke to ABC TV’s “The World” about various aspects of US foreign policy. Plus, in three short AIJAC videos, he explains his views on US recognition of Israeli sovereignty in the Golan Heights, on proscribing Hezbollah, and on new steps that can be taken to contain Iranian rogue behaviour. In the days before election day on April 9, the first rule is humility. Don’t presume to know, because you don’t. Yes, the polls tell a story, revealing a slight advantage to the right-religious camp. But they tell other stories: More than 10 percent of the Israeli electorate hasn’t yet decided. Four to five parties might not get enough votes to cross the 3.25 percent electoral threshold. And besides, there are still days left in the campaign — days without public polling (Israel’s law does not allow the media to publish new polls in the three-day run-up to election day). A lot can happen in three days. Does Prime Minister Benjamin Netanyahu have an assured 61-seat majority? If the answer is yes, game over. The next coalition is still long and difficult weeks of negotiations away, but it is likely to be a repetition of the current coalition. The standing of Israel’s two largest parties in the polls throughout March. (Courtesy of Jewish Journal). How are those 61 seats counted? Likud plus the United Right, the New Right, the two Charedi parties (UTJ and Shas), Yisrael Beiteinu and Kulanu. If these parties have 61 seats, Netanyahu can comfortably move to form his coalition. If not, there is still Zehut to consider. The right wing-religious-libertarian party made no commitment to the prime minister, and its leader, Moshe Feiglin, is a true independent. If you count to 61 only by adding Feiglin to the mix, Netanyahu could be in trouble. What if Netanyahu’s base fails to claim 61 seats? Here again we must ask: With or without Feiglin? But let’s assume Netanyahu doesn’t have a majority. 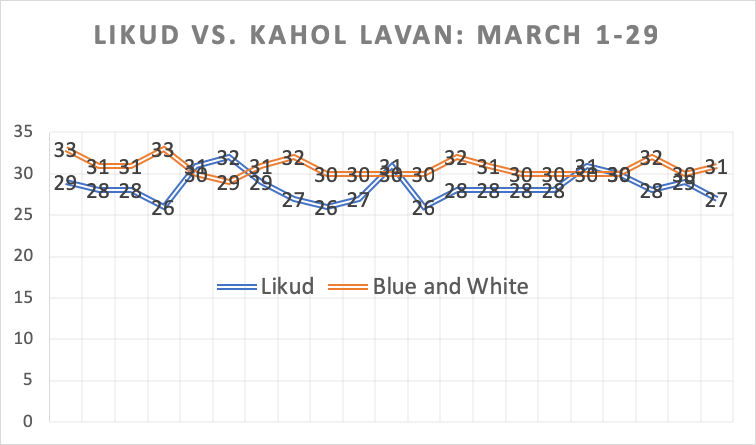 Then we must ask: How many seats did Likud get compared with Kahol Lavan (Blue and White). If Likud is in the lead, Netanyahu is still likely to get a chance at forming the next coalition. If Blue and White has more seats, and Netanyahu doesn’t have a majority, the president has more leeway to ponder the options, and possibly allow Blue and White’s Benny Gantz to form a coalition. What coalition can Netanyahu form? If his base accrues 61 seats (it’d be easier without Feiglin, but still possible despite Feiglin), Netanyahu has a coalition. If the base doesn’t get 61 seats, the prime minister is stuck. All other potential partners — namely Blue and White and Labor — are committed never to join him. Can Gantz form a coalition? Only if all parties become convinced that a Netanyahu coalition is impossible. If the parties face the option of either joining Gantz or holding a new election, some parties might calculate that Gantz is the better choice. It could be Kulanu, Yisrael Beiteinu, the Charedis or even the New Right. Another scenario that ends with a Gantz coalition: Likud loses badly, Netanyahu decides that he has no choice other than to quit, and a unity government — Blue-White-Likud — is formed. Will we get the answer on election day? Not necessarily. The electoral threshold is a wild card. Imagine a party that gets 3.24 percent of the vote, when the military vote not yet counted. Imagine that this party is Yisrael Beiteinu, without which Netanyahu doesn’t reach 61 seats. This is a reasonable scenario if voters put stock in the polls. If this happens, we’d have to wait for all votes to be counted carefully, maybe more than once, until a clear picture emerges of the most likely outcome. Are there wild cards other than the electoral threshold? Sure. Consider the possibility (I know, this is hard to envision) that some politicians aren’t telling the truth, or (also hard to envision) that some politicians might change their minds after election day. Example: Moshe Kahlon decides that it’s time for Netanyahu to go. Example: One of the Blue and White factions decides that its commitment not to join a Netanyahu coalition was merely election rhetoric. Example: President Reuven Rivlin finds an excuse to let Gantz form a coalition although he has no majority. All of these are unlikely, but possible. All of these are part of the post-election process. On the eve of election day, maybe that’s the most important thing to remember. Unlike what happens in the United States, in Israel, election day is not the end of a process, it’s the middle of a process. After the people have spoken, it is time for politicians to interpret the meaning of it. Revital Mansour has been a Likud voter her entire adult life. For the past decade, the 41-year-old house cleaner from Herzliya has given her vote to Benjamin Netanyahu — but says that this year she may not. She is tired of hearing about his scandals, court cases and indictments. “I’m definitely right-wing, I want to vote for Likud. But I’m feeling fed up with Bibi. Maybe I’ll vote for someone else,” she says, referring to the prime minister by his nickname. But if she does vote for another party, it won’t be the newly formed Kahol Lavan. Despite having three generals toward the top of its slate, Mansour says she doesn’t trust the party led by ex-IDF Chief of Staff Benny Gantz to keep the country safe. One option she is considering is Naftali Bennett’s Hayamin Hehadash, which, poll after poll, is teetering on the edge of the electoral threshold and may not make it into the Knesset — meaning that a vote for Bennett could end up being a wasted vote. This isn’t an isolated occurrence but a manifestation of a years-long national trend, according to Hebrew University political scientist Prof. Reuven Hazan. “We’ve definitely seen an increase in the number of undecided voters over the course of the last few elections,” he tells Haaretz. “There seems to be a growing percentage of Israeli voters who are not only looking for something new but are making up their minds at the last minute” — and that applies across the political spectrum. This phenomenon has made the polls more unreliable than ever, notes Hazan, which in turn adds to voter uncertainty. “We’ve experienced a big surprise, one way or another, in every election over the past 15 years,” he says, referring to the last four Knesset elections. Conversations with a cross-section of Israeli voters reveal that, generally, the source of their indecision doesn’t stem from their position on the issues or the direction in which they want the country to go — on this they feel fairly certain. However, voters from the right, left and center all seem confounded as to how to express their political will at the ballot box. Their doubts and debates are numerous: They worry that voting for the small party that hews closest to their views may hurt the larger cause of either protecting or overturning the reign of Netanyahu by taking away a seat from one of the two big contenders — Likud and Kahol Lavan. They worry that if they don’t vote for the small party they really believe in, it may fail to clear the 3.25 percent electoral threshold and disappear from the Knesset forever. They ask themselves if, after the election ends and the government coalition-building process begins, the party they choose might abandon their principles in order to grab a plum ministry. Meanwhile, most say they are not only confused but disgusted by the lack of substantive debate they’ve heard in the short, frantic campaign season. The tidal wave of finger pointing, smears and personal attacks being dug up and circulated by rival candidates is overwhelming from all directions — television, radio, Facebook, Twitter, Instagram and the workplace, and then there’s the barrage of campaign text messages. “I think everybody has this fear that they don’t want to waste their vote on a party that won’t get into the Knesset. We also want to make sure we’re not going contribute to coalition-building that is going to turn our stomach,” says undecided voter Zahava Bogner, 53, who lives in the West Bank settlement of Efrat. Bogner says the political alignment between the more moderate right with Kahanist members of Otzma Yehudit and religious extremists in ultra-Orthodox parties have pushed her to rule out some of the parties she might have voted for. And while she sees that Kahol Lavan’s leadership includes those who “hold views that are reasonable and consistent with mine,” she still fears that Gantz would be willing to consider a territorial compromise with the Palestinians. “I don’t want to vote for anyone who is going to give Shas a place at the table,” she says, referring to the ultra-Orthodox Sephardi party. “But I also won’t vote for anyone who I worry won’t let me make my home in Gush Etzion,” she adds, referring to the settlement bloc near Jerusalem where she lives. Such indecisiveness is understandable, says pollster and strategist Dahlia Scheindlin. She notes the larger choice of parties than ever before (over 40), with many of them new and untested. Center-right voter Emanuel Miller, a 31-year-old from Jerusalem, says he is primarily debating between two new parties: Orli Levi-Abekasis’ Gesher and Kahol Lavan. Like Mansour, Miller is nostalgic for the days when Likud felt like the obvious choice. But in recent years, he says, he has continually been “let down” by Netanyahu’s “divisive leadership style” and anti-Arab dog whistles. Miller was alienated, he says, by the prime minister’s false claim in the 2015 election that Arabs were being bused to polling stations “in their droves” by left-wing NGOs. Miller plans to make his choice based on the final set of opinion polls before Election Day. His preference is to support Levi-Abekasis. If Levi-Abekasis’ chances of entering the Knesset look grim, Miller thinks he will give his vote to Kahol Lavan. There is a parallel debate occurring on the left side of the political map. 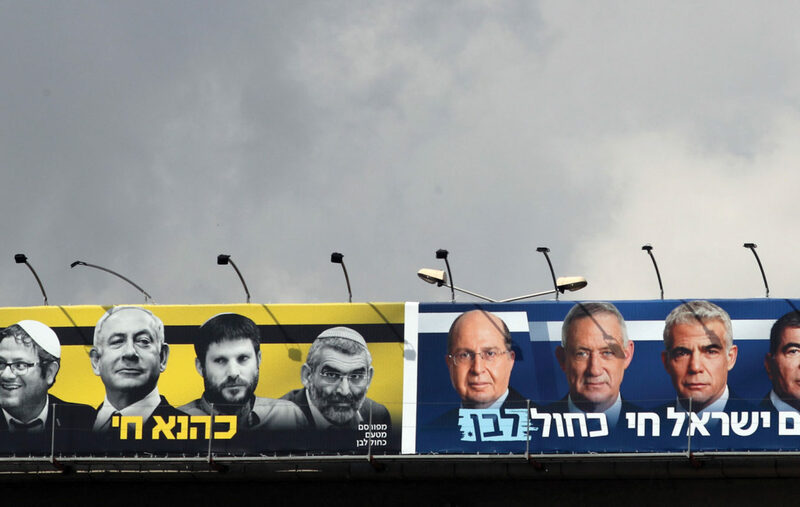 Voters Haaretz interviewed are torn between voting for parties whose positions mirror their beliefs and whom they have previously backed — like Meretz or the Labor Party — or voting for Kahol Lavan, thus giving the party a better shot at either unseating Netanyahu or moderating the composition of his ruling coalition. Gabriel Avner, a 34-year-old security consultant and writer from Hod Hasharon, is among many on the center-left who say they are torn between Labor and Gantz’s party. He says that because the debates between the parties have been so superficial, and the rhetoric so “dirty” and “toxic,” the more attention he pays to the campaign the more difficult he finds it to make his decision. Avner has previously voted for Labor, but says he “cannot stand” its current leader, Avi Gabbay. Furthermore, he feels that under Gabbay’s leadership, the party is both “directionless” and unwilling to clearly advocate for a two-state solution or discuss articulate positions on security and diplomacy — so much so that he may “punish” the party by choosing Kahol Lavan. But the strongest reason for his hesitation is Kahol Lavan’s rotation agreement, in which Gantz would hand the prime ministership to his second-in-command after two and a half years. 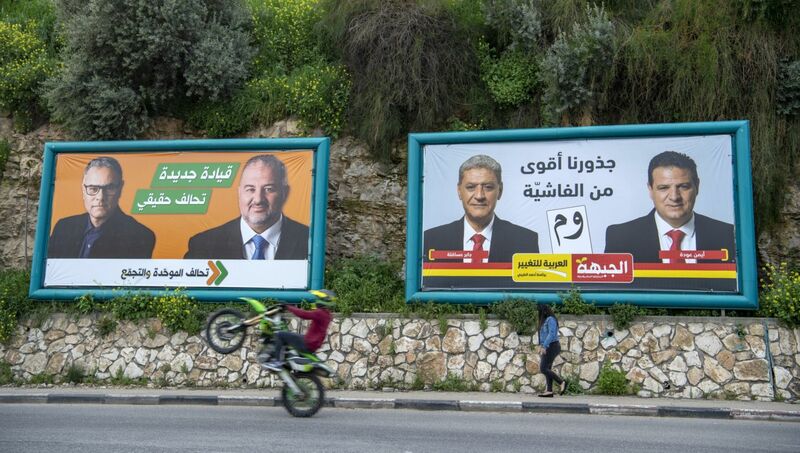 Rival ads in Nazareth for the Balad-United Arab List and Hadash-Ta’al parties, March 28, 2019 (Gil Eliahu). He continues: “Meretz, like Shas, is really a tribal party. They have a history of alienating the traditionally observant and … I am frustrated with the lack of real commitment to reaching beyond their base of secular, Greater Tel Avivians,” he says, referring to the central Israel area that is largely liberal and left-leaning. The far-left (Jewish-Arab) Hadash was part of the Joint List in 2015, meaning it ran alongside two Islamic parties in a four-party alliance. Weisberg says he opposes Islamic parties as much as he does Orthodox Jewish ones, since he doesn’t believe in mixing religion and politics. However, now that Hadash is partnered only with Ahmad Tibi’s Ta’al, Weisberg is seriously contemplating deserting Meretz to vote for them — while acknowledging that both choices are flawed.